Value School Notice Boards & Display Cases. Constructed of extruded aluminium with jointed corners. Fitted with clear safety front cover. Complete with colour grey felted pin board. 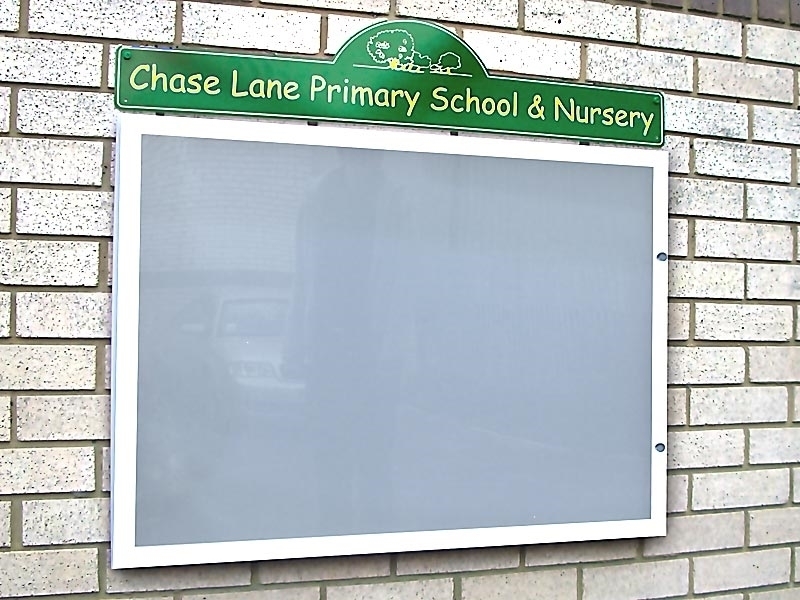 In anodised aluminium or white powder coated..
We are proud to offer our Value Outside Notice Boards for Schools as part of our Essentials range. They are all designed to be functional, robust, look good, be safe in the school environment and offer an economical option. We offer a choice of sizes, all are wall mountable, railings or post mountable. All are checked to be safe and secure, for use where there are youngsters and students.